I'm born in 1961 and my interest in WHS started many years ago, where I looked it up, whenever I was going on holiday: were there any sites nearby? Now I don't mind travel some extra kilometers if there is a WHS nearby and I'm very fond of counting my visited WHS- thank God for this site. 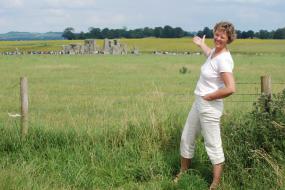 The picture shows Stonehenge, by the way.